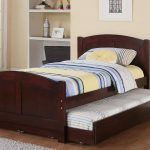 A trundle bed seems to be a good option for your children’s bedroom. Yeah, by decorating a trundle bed, you can put an extra in very compact way. 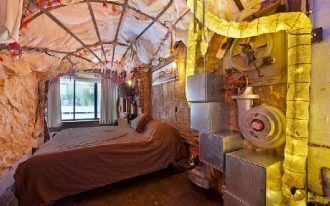 As the result, you can get accessible bedroom ideas for your lovely children. 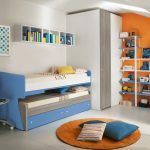 Here are several bedroom ideas with trundle beds for children that you may want to apply in your home. 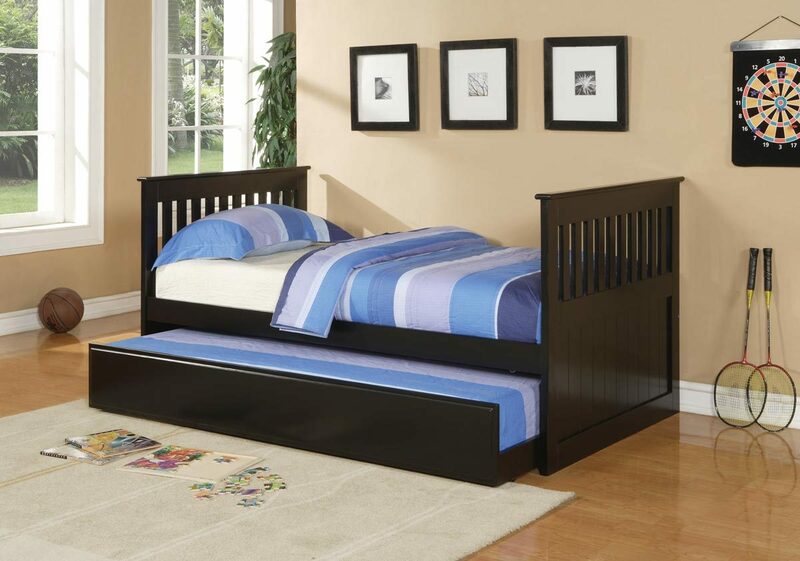 Trundle bed is a dark wooden trundle bed is designed in simple design and modern style. Well, this bed looks nice with stripes bedding set which is suitable for kids and teenager. 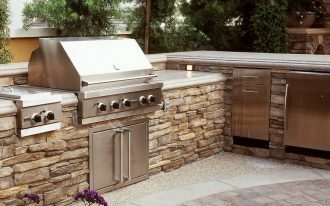 To get more contented bedroom ideas, you can also decorate a rug on the floor and also wooden shelving. 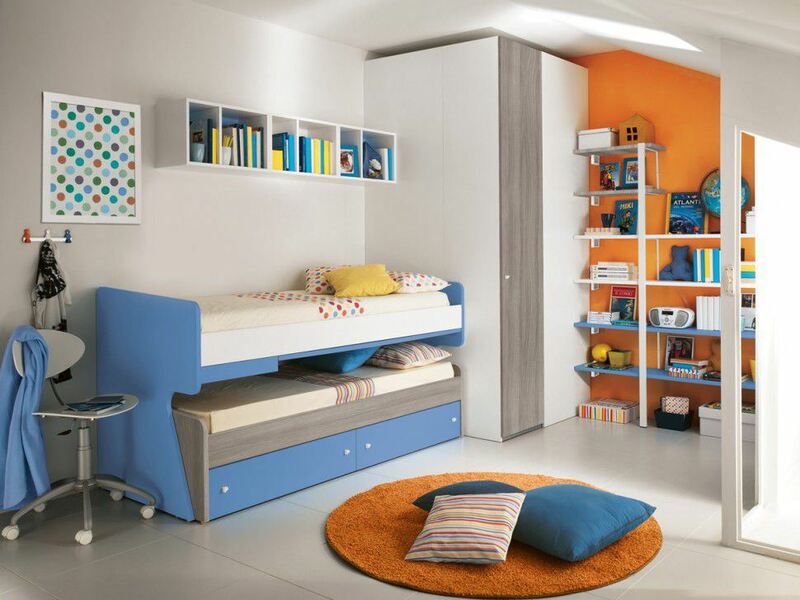 Then, the blue trundle bed is very suitable for you who have a problem with a limited space in your bedroom. 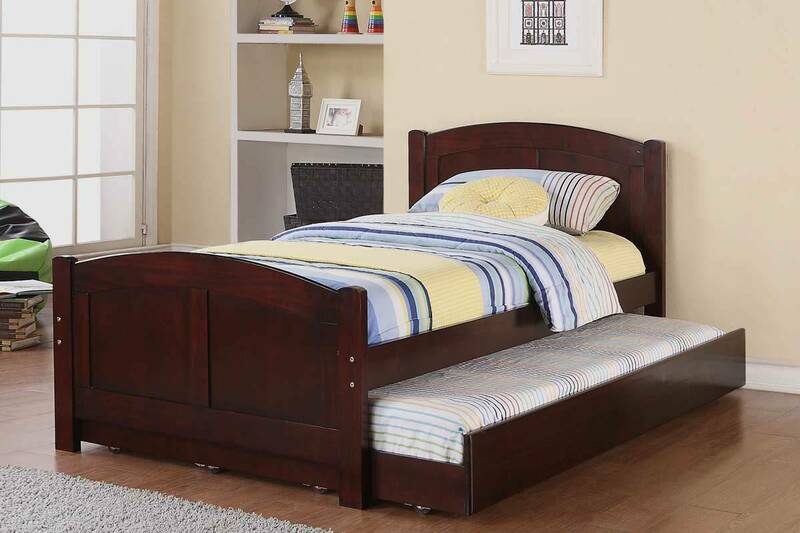 This trundle bed is completed with storage underneath which is very useful for saving some important stuff. 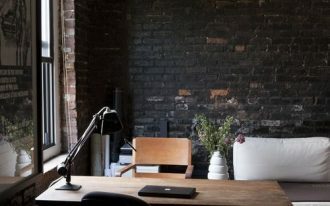 Moreover, you can also decorate some wooden shelving on the wall to store some books so that those are always well organized. 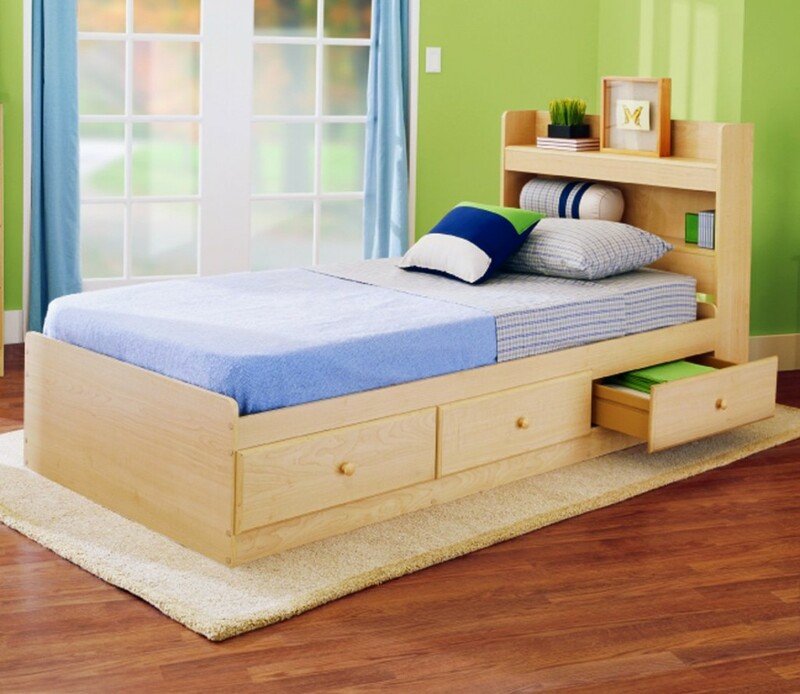 The next idea of trundle bed is the wooden trundle bed with three drawers under the bed. 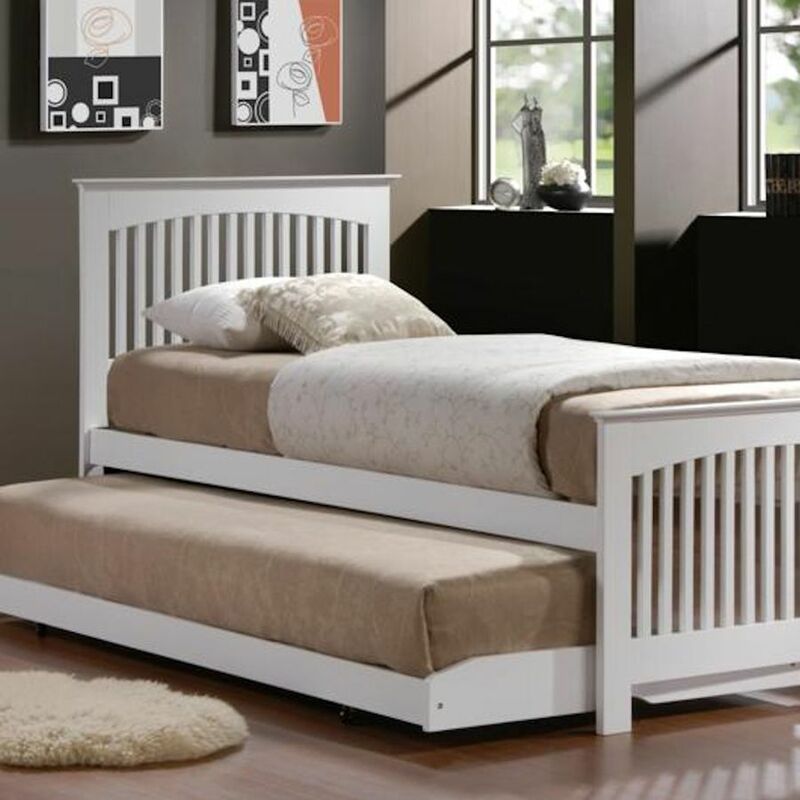 This trundle bed is finished with a headboard which also functions as storage for books, photo frames and greenery. 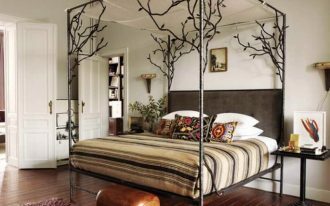 This bed looks mesmerizing to be decorated in a room with green wall nuance. 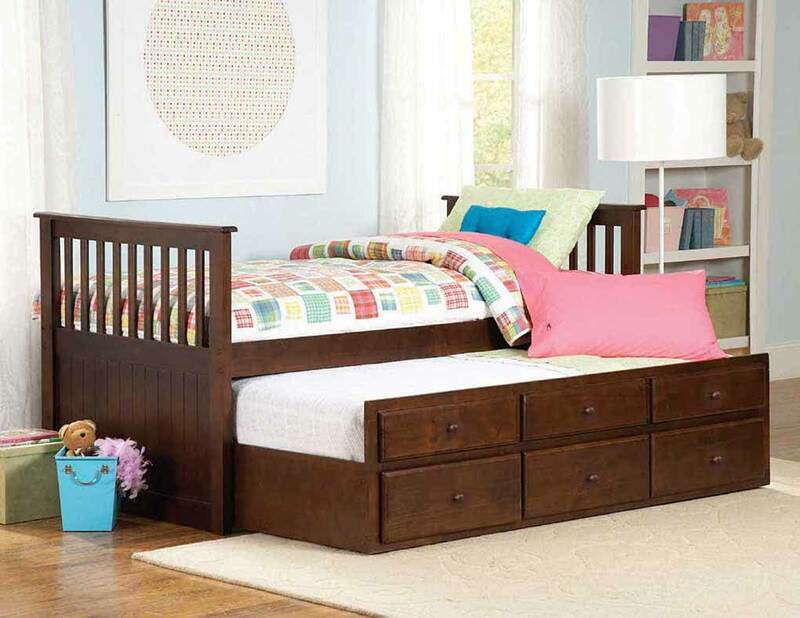 Then,the white and blue trundle bed for children with shelving is the best choice for your sweetie girl. 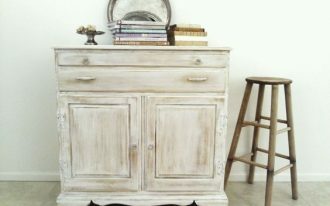 This bed is completed with double beds and also some storage under the bed. The shelving ideas on the top of the bed make the room remain compacts and sophisticated. 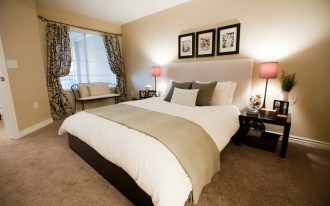 Wallpaper in the same pattern with the bed and white soft rug makes the room looks more cozy and interesting.